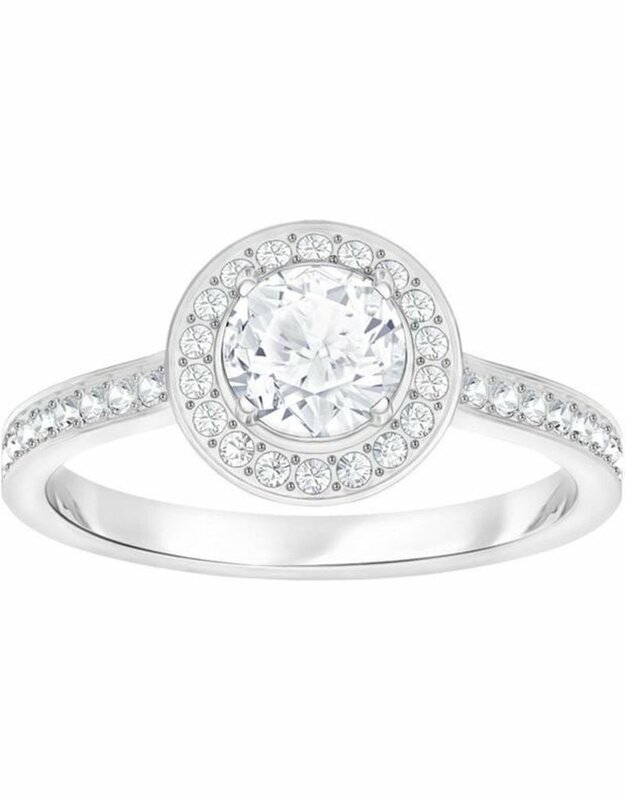 Make your feelings clear with this romantic ring. Timelessly elegant, the easy-to-wear design combines rhodium plating with brilliant Swarovski sparkle. Mix and match with other jewelry pieces to create your personalized style story.